Summary: It takes a starship to raise a child. Or a time machine. Or a tribe of elves. Fortunately, Geek Parenting offers all that and more, with thoughtful mini-essays that reveal profound child-rearing advice (and mistakes) from the most beloved tales of geek culture. Nerds and norms alike can take counsel from some of the most iconic parent–child pairings found in pop culture: Aunt May and Peter Parker, Benjamin and Jake Sisko, Elrond and Arwen, even Cersei and Joffrey. 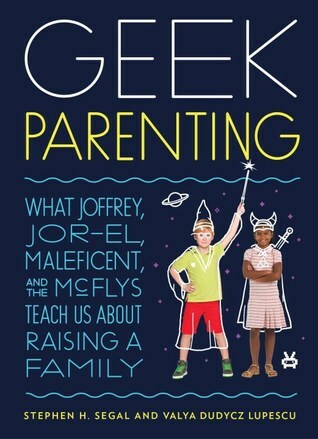 Whether you’re raising an Amazon princess, a Jedi Padawan, a brooding vampire, or a standard-issue human child, Geek Parenting helps you navigate the ion storms, alternate realities, and endless fetch quests that come with being a parent. Sarah Manning and Mrs. S.
Review: Ever wanted a parenting manual? Preferably one offered by a wise old man with a pixelated beard who hands it to you and says “It’s dangerous to go alone. Take this.” and then gives you all the wisdom you need? Parenting is hard, and it’s doubly difficult when it’s important to you and your spouse to not only raise well-adjusted, independent, intelligent, kind individuals, but also ones who are firmly rooted in the Ways of the Geek. I, ladies and gentlemen, am a Geek. Or a Nerd. I’m proud of my love of Star Trek (all series). My phone ringtone is the TARDIS. We celebrate Star Wars Day. It’s vitally important to me that my children appreciate and embrace this lifestyle. When I received this book, I think I was thinking it would be a tongue in cheek response to Parenting for Dummies. I was pleasantly surprised and mistaken. Inside I found numerous essays about parenting lessons from my favorite fandoms, from fandoms I don’t subscribe to, and from some I’d never heard of. Some were reaching a little - searching for profound, meaningful metaphors where there were little to be found - but some were truly amazing, offering insight and analysis I’d never even considered. It made me want to look at my favorite fandoms again in a new light, not solely for the entertainment value, but for the deeper lessons that I could glean from them. I quite enjoyed this book for what it is, but were I to revisit it, I wouldn’t read it in one sitting like I did. As a collection of essays, this book is best nibbled upon, sampling those essays that best apply to your mood at the time. That doesn’t mean, however, it’s worth passing up. It's been a while, I know. I miss reviewing fiercely and am contemplating a comeback in the not-so-near future, but unfortunately I am only here today because Elizabeth had to have back surgery again (her sixth in the last year, if you can believe it). She needs some time to rest, recuperate, and READ, as do all of our awesome reviewers, without worrying about deadlines. There might be a review or two that sneaks in throughout the summer (because...deadlines), but otherwise look for us to return mid-August. We'll be the ones with strange tan lines from falling asleep with our books on our faces. May you have a FABULOUS SUMMER filled with all the best books! Review: They’re back!! Nick and Tesla are sick of not hearing about their parents. They are sick of knowing Agents McIntyre and Doyle are out there and doing something, but they want to know what’s going on. It’s time to take matters in their own hands - and one way or another, they will find their parents, this time, with their Uncle Newt’s help. 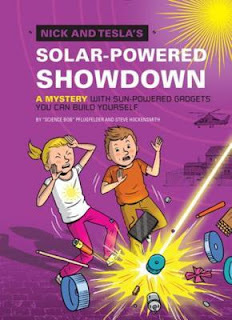 Pflugfelder and Hockensmith are back in full form for this book - possibly the conclusion of the Nick and Tesla series. From the very beginning chapters, I could tell a difference in the storyline and writing. They had somewhere to go, and they were anxious to get there. It made me so excited to keep reading. That kind of energy was perfect for the book, as it showcased the anxiety two intelligent and frustrated twelve year olds would naturally experience in Nick and Tesla’s situation. The pace didn’t let up, either, propelling the story all the way through to the last page. And unlike so many Middle Grade books, there isn’t a chapter or two of sappy, perfectly ending fluff. The action literally ends with the last sentence. As I said earlier, this could possibly be the last book in the Nick and Tesla series. I hate to see this series end, but this is a good and a natural conclusion point. I look forward to any more collaborations between Pflugfelder and Hockensmith - definitely a team that shouldn’t part ways! For the Sensitive Reader: Ninja grandmas aren’t nice. The bad guy also plans to microwave the White House. Summary: Lou Clark knows lots of things. She knows how many footsteps there are between the bus stop and home. She knows she likes working in The Buttered Bun tea shop and she knows she might not love her boyfriend Patrick. Image and summary from Goodreads.com. 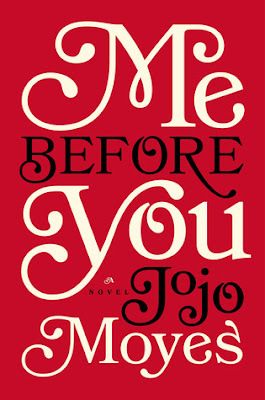 My review: Let me start by saying the trailer for the movie led me to read this book. I’d heard the title a few times, but seeing the charm and emotion in the trailer gave me the final push to begin reading this book. I think the movie trailer (more than the book summary) gives some pretty big clues that this story will be a The-Fault-In-Our-Stars-level tearjerker. I was right about that. Definitely a three Kleenex book. Maybe four. (I put The Fault in Our Stars at two.) I had mascara streaks down to my collarbones by the last page. Quirky Louisa Clark, age 26, lives a safe, small, contented life the same English town she’s always lived in. When the café she has worked at for seven years closes up, she’s out of a job and her family is out of its primary source of income. In desperation, she takes a six-month position providing companionship and basic care to quadriplegic Will Traynor, an ex-financial wiz, ex-adventure-seeker. He’s horrible to her and she hates her days tiptoeing around his hostile moods. She only keeps the job because she has no other financial options. After working at the Traynors’ for about a month, she overhears a conversation she wasn’t meant to hear about how Will intends to end his life via assisted suicide in a clinic in Switzerland—hence the six-month contract. Louisa’s employment has less about making meals and tidying up after an invalid and more of a last-ditch effort on the part of Will’s family to inject his life with friendship and hope. The burden is too much for Louisa and she immediately resigns, but changes her mind after Will’s mother insists he responds to her in a special way and she’s the only hope the family has of keeping Will from making an unfathomable choice. With a countdown calendar, quadriplegic chat rooms, unlimited funds from Mrs. Traynor, and her own brand of sunshine, Louisa has five months to show a broken man that life—even a diminished one—is worth living. I couldn’t put this book down, and I found myself sneaking off to extended bathroom breaks and neglecting my family for two days straight. The book was well written and well paced. It’s written in first-person through Louisa—except four random chapters from four other first-person points of view that confused me more than added to the story. I felt that switch in narration was a glaring mistake. When I finally reached its conclusion in the middle of the night, I wanted desperately to have someone to talk to about this book, but didn’t know anyone else who had read it. Thoughts of the story kept me awake, replaying scenes over and over again. I literally laughed so loudly at parts, that my husband kept asking what was so funny. I cried—big ugly cries. I raged. I pondered. I fell in love. This book makes you feel all the emotions. It is effective and powerful in that respect. Yet it also broke me apart a little bit. I very much considered throwing my Kindle at the wall as soon as I read the last page and my good view of certain characters instantly blotted out. So be warned—you probably need a support group to read this book. I’m here if you need me. I’m still quite uncertain if I’ll watch the movie or read the sequel. For the sensitive reader: Assisted suicide is a controversial topic and the main topic of this book. The book presents both sides of the argument as valid and fair. But it is an incredibly touchy subject and you’ll question the morality and the selfishness/selfleslness of all the characters in the book. (And shouldn't a good book present new, uncomfortable ideas for us to think about?) A peppering of swear words, including about five F-words. Scenes of sexual intimacy between two consenting adults (not graphic). Reference to alcohol use, a little drunkenness. A past memory including drunkenness and recreational drugs which resulted in repressed memories of a likely sexual assault. Summary: An international sensation, this hilarious, feel-good novel is narrated by an oddly charming and socially challenged genetics professor on an unusual quest: to find out if he is capable of true love. Review: Within the first minute (page??? I listened to the audiobook) I knew I would love this book. And I did. An instant favorite for me. I told everyone I knew (who doesn’t mind a little strong language) to read it ASAP. Professor Don Tillman is socially awkward and he knows it. Though he’s at peace with his singleness, a friend surprises him by saying he would make a wonderful husband and Don figures, statistically speaking, there must be a woman out there who would be an ideal match for him and decides to find her the only way he knows how—through the scientific method. With a survey created to weed out unacceptable candidates, Don begins his journey. His best friend Gene—who helps Don with his data collection—decides to throw Don a curveball and sends him on a date with Rosie. Rosie is all wrong for Don. She smokes. She dances. She’s a vegetarian. She’s spontaneous and outrageous. And though she is completely the opposite of everything Don is seeking, after their first date together, he can’t deny that he had a good time and that he wants to see her again. 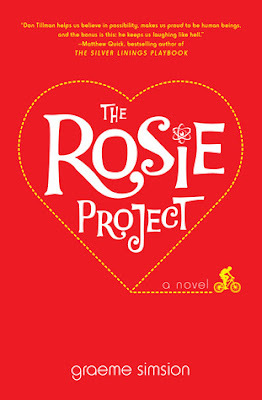 Since Rosie is out of consideration for the Wife Project, Don offers to help her find her biological father—The Father Project—thus enabling him to spend time with Rosie without the social pressures of dating. As the The Father Project concludes and Don turns his attention back to The Wife Project, will his heart defy his logical mind and bring him back to Rosie? I’ve never experienced a POV character quite like Don Tillman before. Reading (and writing) is all about emotion, right? How exactly will it work to have a first-person narrator who is completely unemotional? It’s simply brilliant. It’s a perfect example of the untrustworthy narrator. While Don is nothing but logical and works very hard to understand the linguistic acrobatics of metaphors and humor, the reader can easily find humor in between the lines and heart on every page. For the sensitive reader: There is a fair amount of swearing, including about two dozen uses of the F word. Summary: Two women's decision to save a child during WWII will have powerful reverberations over the years. 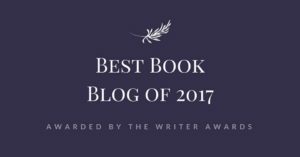 My Review: WWII historical fic is a big deal right now. There are tons of books about it, and tons of books with lots of acclaim. I think this is very valid—WWII had a huge impact on the entire world (possibly an understatement, I realize), and I don’t know about you, but I personally know/knew people (like three of my four grandparents) who were involved. So beyond its historical significance, I feel like I have a great personal connection to it and love reading about it. I’ve also really enjoyed the emphasis of women during WWII in much of the recent historical fiction. I’ve read several books of late about women on the home front, women pilots, women serving as part of the resistance, etc., and I think Early One Morning is definitely right in that money spot of what is popular right now. And it had great potential. It really did. In a lot of ways, it was really great. First off, I enjoyed the writing. It wasn’t poignantly beautiful or really stylized or anything, but it had a nice flow to it and the descriptions were such that I definitely understood the characters—what they looked like, what they were like, what mannerisms they had, etc. This is a big deal, actually, because if you can’t imagine your characters then it is really hard to fully understand what’s going on in the book. Secondly, I think it had a good story. But all that being said, there’s a lot of competition in this little historical fiction genre. There have been some remarkable books about women in WWII, and some of them are excellent. 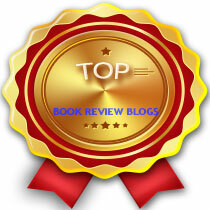 Just within the books I’ve reviewed you’ll find the wonderful Code Name Verity, Rose Under Fire, and The Nightingale. Others in the genre are just okay, and of course, some are not that great. Early One Morning is on the higher end of the books in the middle. Here’s why. While the story was ambitious and had a lot of great elements, it had a hard time coming together. There are three main elements of the story going on, and they don’t start coming together until three fourths of the way through the book. That doesn’t give much time to develop the rest of the story. Because of that, I felt like the end was kind of rushed, especially in the way the individual plots were resolved. It’s not a huge, long book, so I think it could have gone on a little longer and been fine. It had everything it needed to be really interesting—and in some ways it was—but it didn’t deliver to the degree that it could have. I think this may due in part to the author’s inexperience in writing novels. 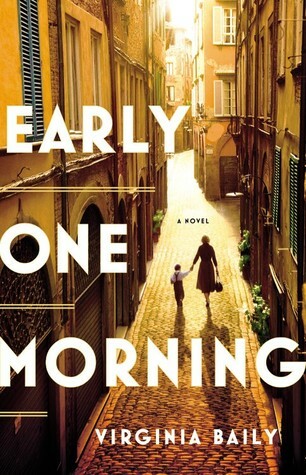 Baily is obviously a talented writer and very experienced in writing short stories (her bio proves this), but I think Early One Morning lent itself to a longer, more fleshed out ending and resolution than Baily was equipped to write. That being said, it’s a good book with realistic-feeling characters. If you are noshing through a ton of WWII historical fic that feature women, this is one you should consider. For the sensitive reader: This book is mostly clean and has only mild language. It is on the clean side of the genre. It would be safe for a church book club or other conservative group.